Christmas is coming and especially in nearby Germany that means baking time, Weihnachtsplätzchen, Guzle, and many other german-like words for Christmas cookies. Every qualified German grandma1 has her own recipes and cookies are shared proudly and excessively. Oh yummy, Christmas time the time of eating tons of delicious home-made cookies. Not everyone is as fortunate. If you do not live in Germany, or do not have a German mom or grandma… too bad2. But at least you might have some eatable cookies as well. What’s real bad though, is if you are a pony, or a dolphin3, … or a dog. But –how cool is that! !- at least German dogs are saved now! “Weihnachtsplätzchen für Hunde” – Christmas cookies for dogs … but what about poor ponys and dolphins? 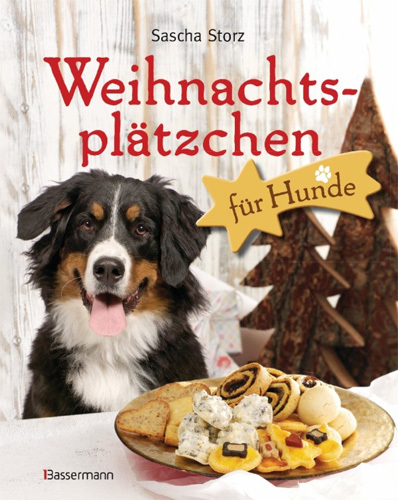 I just found a brand new (German) cookbook on ‘Christmas cookies for dogs’ (Weihnachtsplätzchen für Hunde). And no worries if your little-sweetie-pie-doggy has a gluten or lactose intolerance, they have special yummy recipes for those little rascals, too. So now ATTACK!4, go and get a copy yourself at the next bookstore and start baking! I know it’s written in German, but the spirit of insanity is universal.